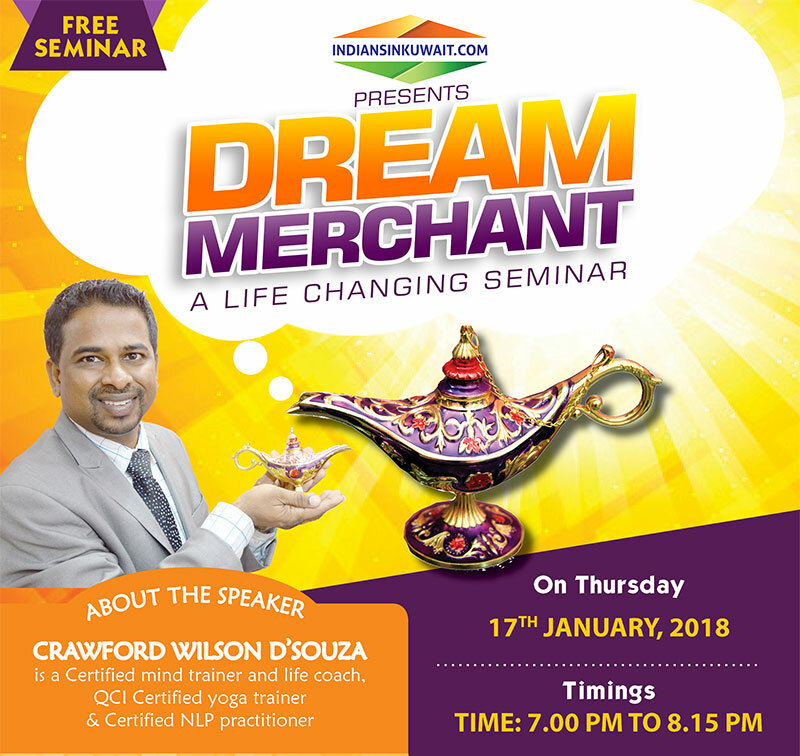 IndiansinKuwait.com - Indiansinkuwait.com presents free Seminar on "Dream Merchant"
Indiansinkuwait.com presents free Seminar on "Dream Merchant"
Do you wish to know the purpose of your life? Do you wish to get your dream job? Do you wish to develop work and family life balance? Do you wish to turn your dreams into reality? 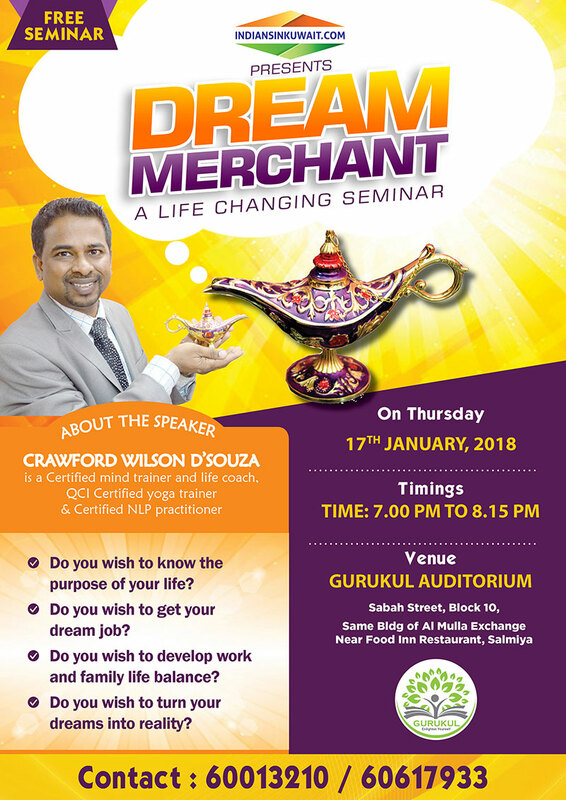 This seminar will will help you fulfill your wishes and dreams. For registering for the seminar Click here .